The EMR features a slightly curved button surface to fit the natural curvature of your finger. The form fitting curve, along with horizontal serrations, create a self centering surface that inhibits the finger's vertical movements. The EMR-C has an uninterrupted surface and serrations, its taller profile makes it easier to press and is only 0.04 taller than the factory magazine release button. 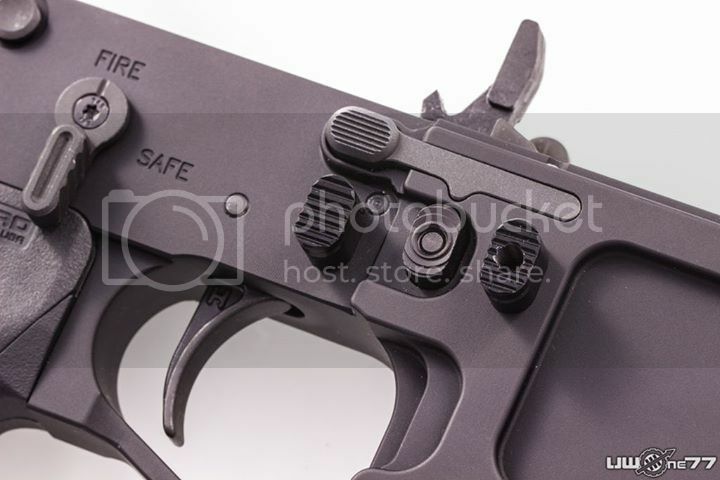 When installed, the EMR-C has a 0.08 protrusion above the mag release button fence on most forged receivers. Nice, I might get that. Have yet to see a mag release I like as much as that one. Has a simple, clean look. I never needed something larger, just something with a better texture that sticks out a bit more, and that is it.